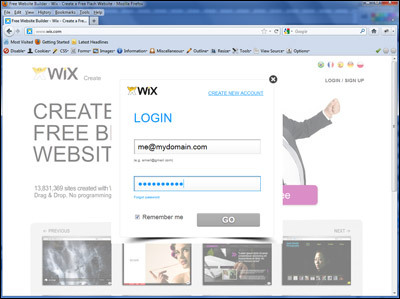 The steps for adding email forms to a Wix web site are outlined within the tutorial below. 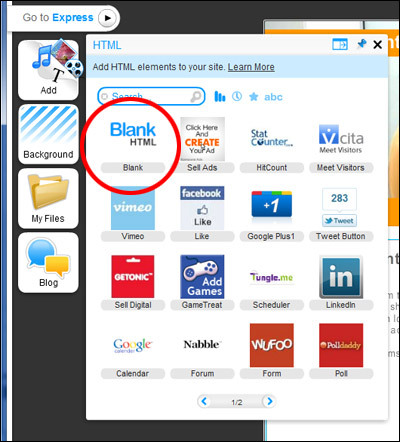 A sample form created using a Wix web site can be seen here. The first thing you need is the HTML code that will be used for the form. 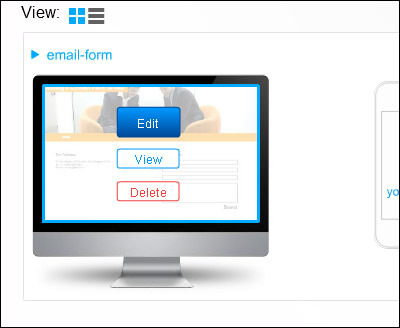 Click here to read our full tutorial for generating the HTML code using myContactForm.com, a free email form service. b. Under Manage Pages click the Page you would like to add an email form to. 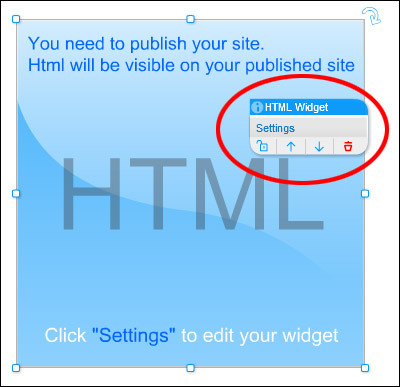 f. Maneuver the Blue HTML Widget Box so that it is located where you would like to to appear. Stretch it to the appropriate size. 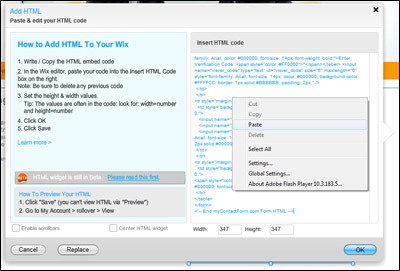 h. Paste the form HTML into the Insert HTML Code box (CTRL+V or Right Click and Select Paste). i. Note the Width of the HTML widget and click OK.
4. Stepping through the steps until you see Form Width. 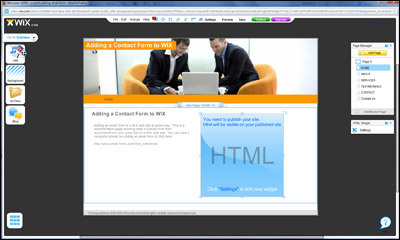 Set the Form Width to a value slightly less than the width shown in Wix. 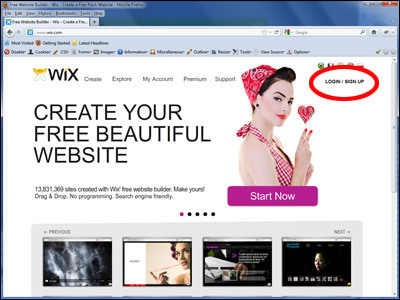 j. Click the Save button in Wix. This will publish the updated site. Navigate in your favorite web browser to the newly created form. Fill out the form questions and press submit. Check your email to make sure that the test form was successfully submitted. 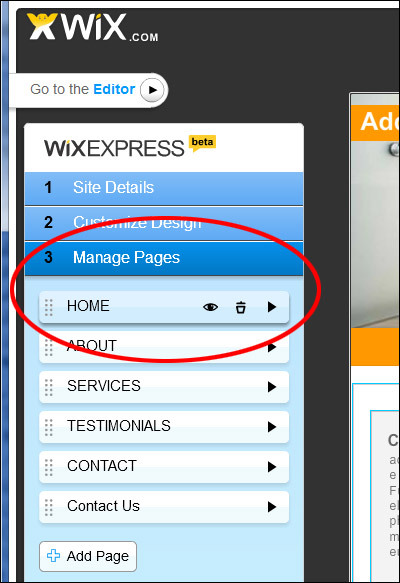 A fully functional test form created on a Wix web site can be seen here.